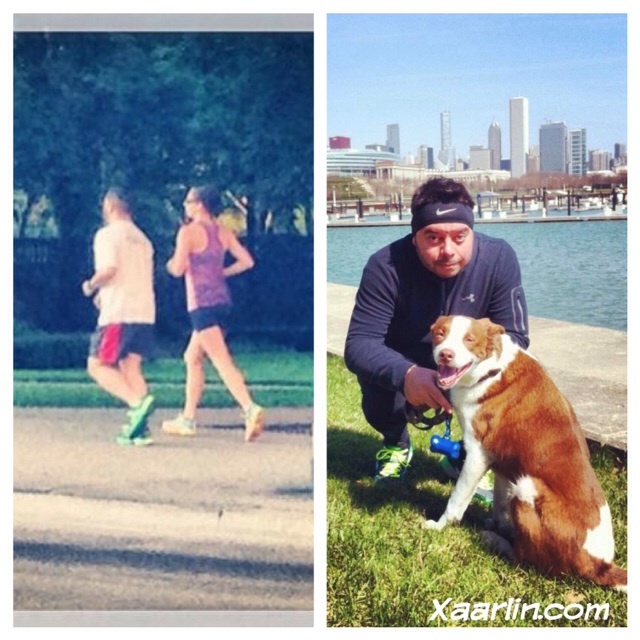 Xaarlin: 2013- a fantastic year of running. 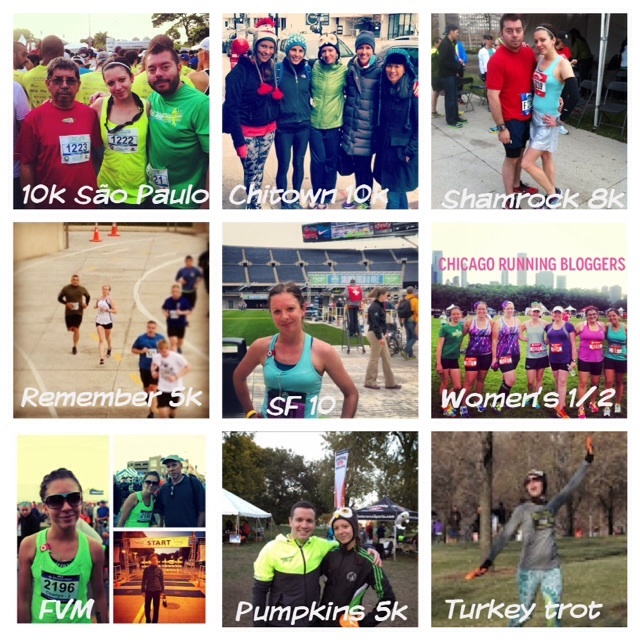 2013- a fantastic year of running. 2013 was a hell of a year running wise for me. I PR'd in every distance, made a ton of friends, and most important: stayed injury free. I got to run in exotic places, and run with extraordinary people. 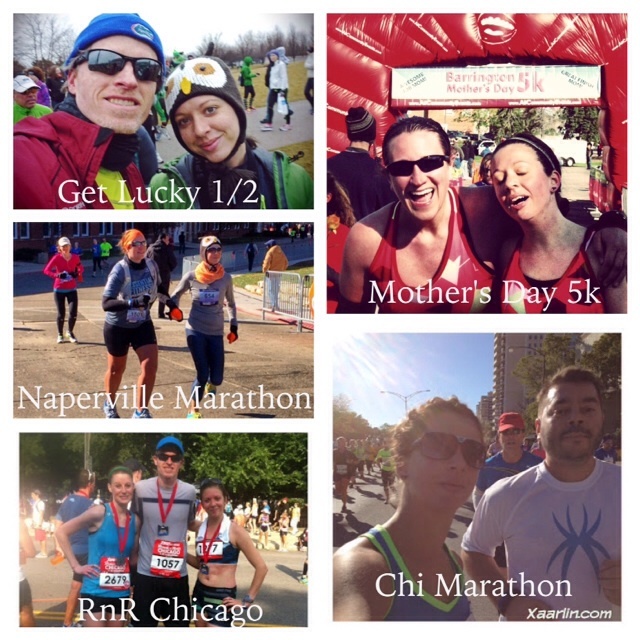 5 of the races I ran with friends. The remaining 9 races I ran alone- although I either knew others running or spectating so I really wasn't "alone." 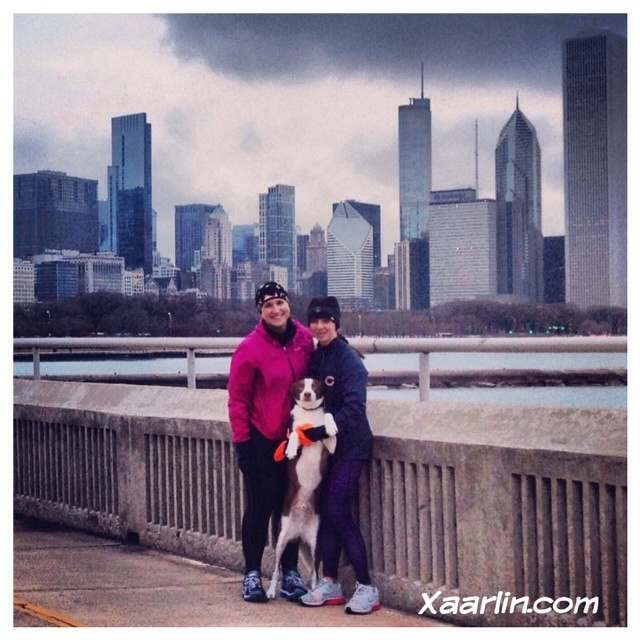 I was very fortunate to run in 2 places outside of Chicagoland this year. Parque Ibirapuera in São Paulo Brasil was just amazing. Between coconut water vendors, interesting wildlife (galinha d'angola), and beautiful scenery for the loop- I fell in love with this park and cannot wait to return. The Los Gatos Creek trail will always be close to my heart. 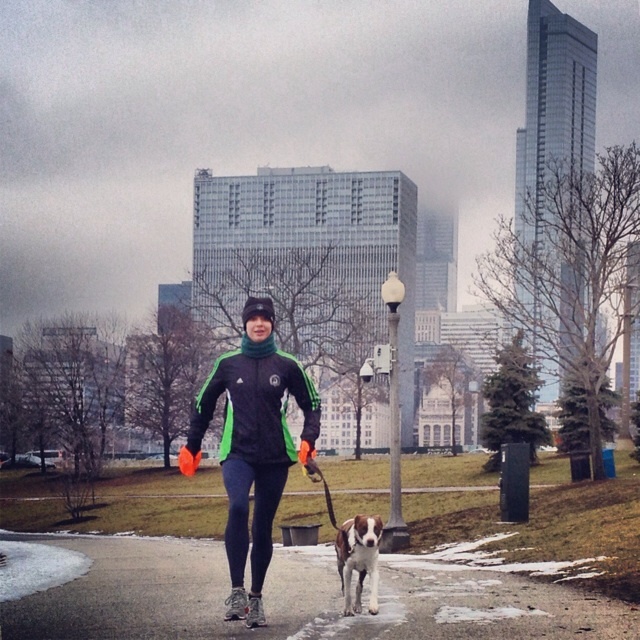 I was fortunate to do a long run there while on vacation during the summer and instantly remembered why I missed the trail so much since moving to Chicago 3 years ago. The friendly runners, the hills and beautiful scenery make this place one of my all time favorites. I cannot really pick a favorite run. 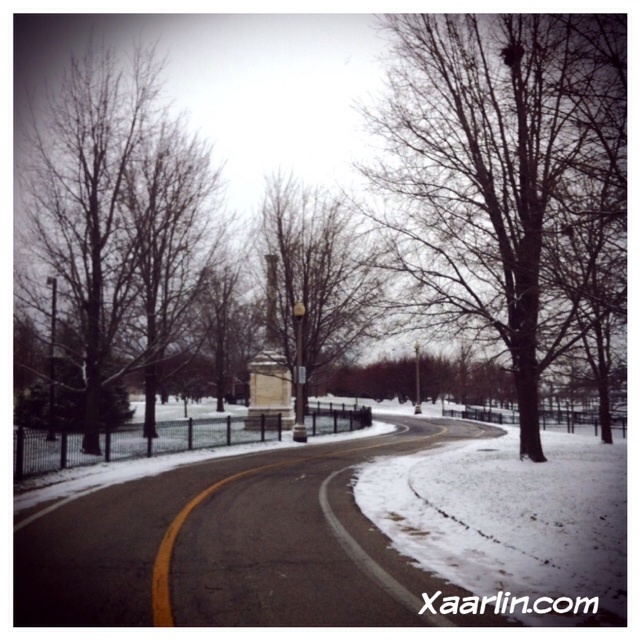 Sometimes a run by myself in freshly fallen snow puts the biggest smile on my face. Running with L is always a treat. 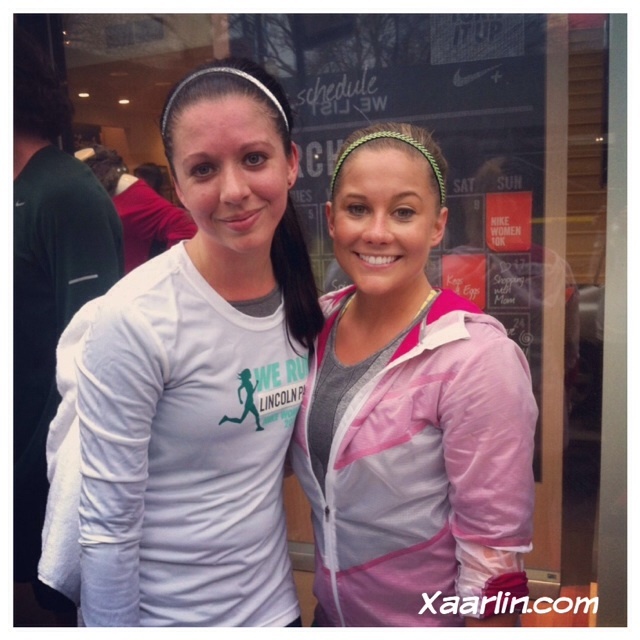 I even got to run with Shawn Johnson for a 10k! Running with friends is something I don't do often, but always makes the miles fly by. 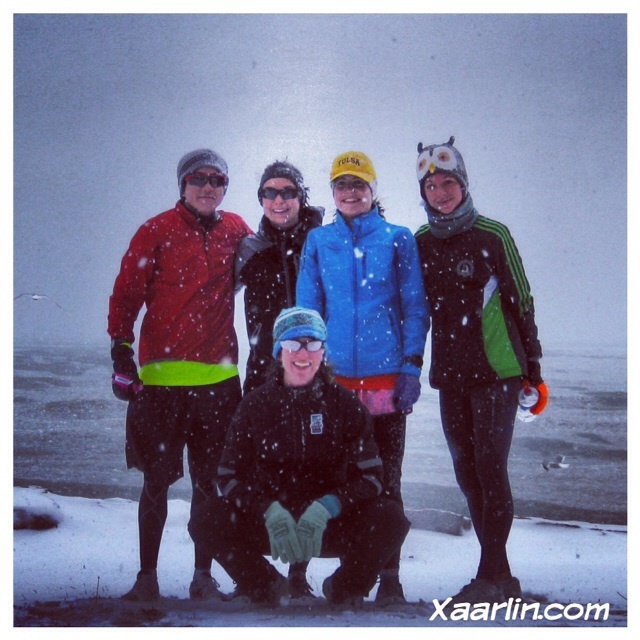 Only friends can get me to run 14 miles during a crazy snow storm with psycho snow plow drivers and 6"+ of unplowed snow. Running with CB is something I always look forward to because seeing my little man happy melts my heart. Overall I'm thankful for all the amazing memories Ive made this year through running. There were some moments of pure bliss, as well as some of stinging disappointment. I've learned a lot about myself this year and how tough I truly am. I'm looking forward to 2014 with open arms. You had a great 2013! That Sao Paulo trail does look amazing. And awesome on running with Shawn Johnson! I swear that I saw her in the airport after the London Olympics last year, I should have gone up to her to say hi, but I got cold feet lol. Nice recap and fantastic pics (as usual)! Congrats on the PR-a-palooza this year! 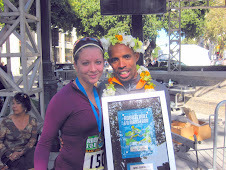 :) Here's hoping we can run a race or two again next year! what an awesome year of running! I agree running with friends is sooo much better! You had a fantastic year! I really hope I can be more a part of your 2014. Let's run together soon! New to your blog here and glad I visited! Looks like you have had quite a journey this year.. Brasil? 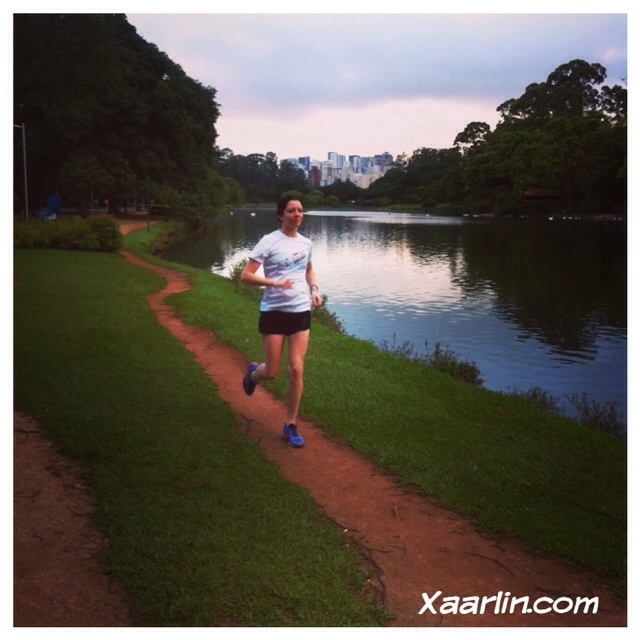 You got to run in Brasil? That must have been amazing! 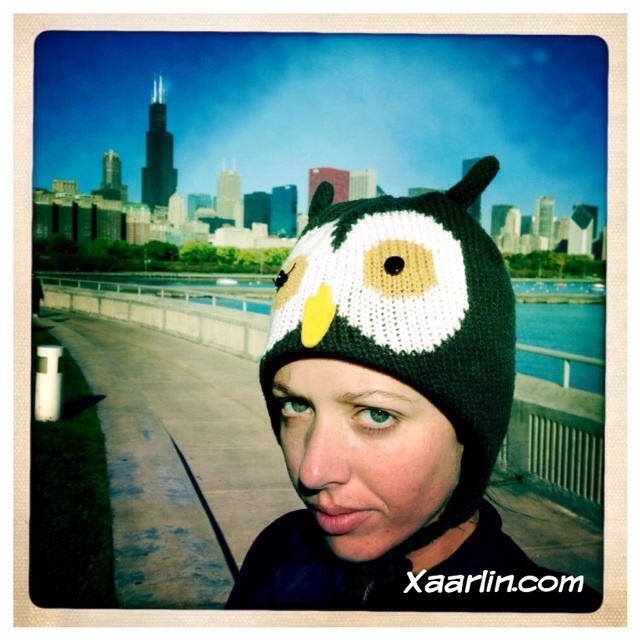 Your owl hat is dashing :) ! I'm looking forward to 2014 too. You have had such a wonderful year, and I'm so glad I was able to meet you in the last stages of it AND have a seriously crazyass run with you--easily one of the most memorable runs of my year and of my entire tenure in Chicagoland. Grrrrrrrl that was craaaaaazaaaay. :) looking forward to seeing what other good stuff you've got up your sleeve for 2014 and to the next time we get to run together, either here or there. 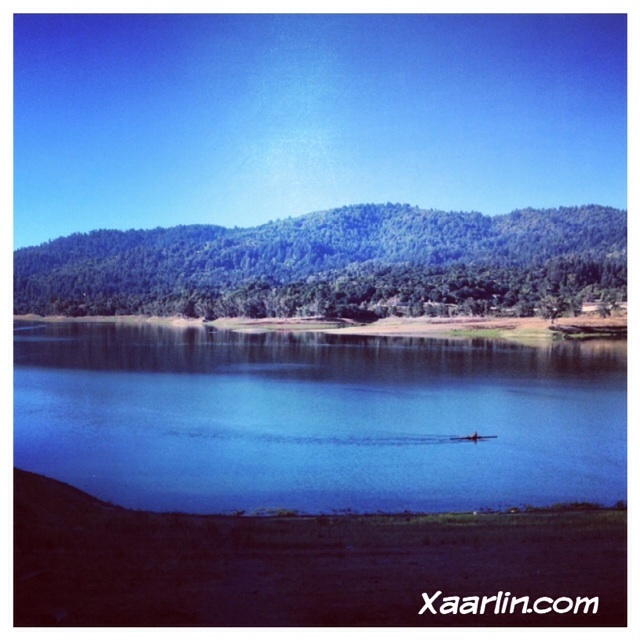 :) lots of love, Xaarlin! you're unstoppable! What a kickass year! Look at all those PRs! And some of them are really big! Although, I am totally laughing at the slight PR at the Women's Half. LOL. Speaking of that, you diggin' the new date/route? Route, yes, for me. Date, not so much (just because it's the day before my anniversary). How I Continue to Rock It.